In-Tune Ent. will release Long Island rapper Talent Harris's new mixtape, The Birth Of The Cool Again, featuring new single "Ride Or Die," on May 5. In-Tune Ent. releases Willie B. Goode and Talent Harris' "Mary Wanna" from new mixtape More Than What It Seems. 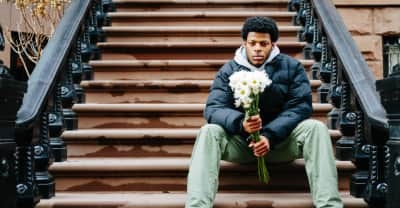 Watch N.Y. Rapper Talent Harris' Charming Video For "Nine Two Five"
In-Tune Ent. will release Talent Harris' new mixtape The Birth of The Cool Again, including the single "Nine Two Five" this spring.